The freight transportation and storage industry is growing, and you need a business list that will help you make strong B2B contacts. Get our warehousing industry email database today and find the contacts you need to meet your marketing quotas. The freight transportation industry grows right along with the economy, and that is why a targeted courier services email list is a valuable marketing asset. 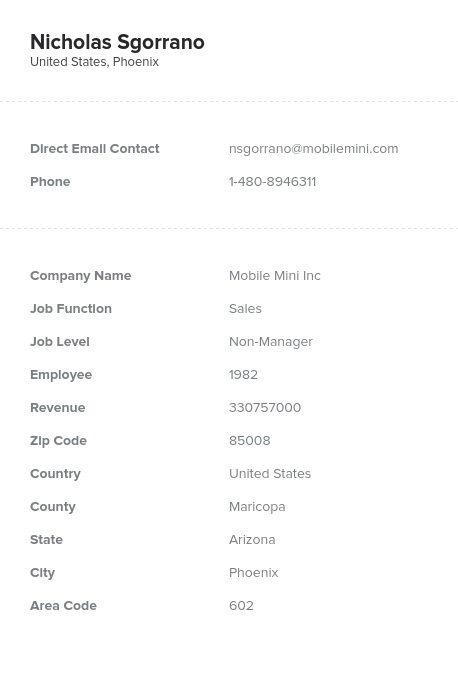 You need an accurate business contact list of sales leads in the warehousing industry to stay up to speed with the movers and shakers in this field, and this human-verified trucking industry mailing list can help your marketing efforts get more traction. Leaders in the trucking industry are constantly making buying decisions, and when you use this trucking and transport email list, you can be sure to reach these key players and raise your odds of becoming a preferred vendor. We can provide the accurate business database you need to develop strong sales leads and maintain an updated CRM platform: All you need to do is download it and get moving with your marketing efforts. The warehousing and storage industry is changing rapidly, but with this freight transportation email database, you can leave your competition in the dust. In this one consolidated list, you'll get a load of key details, like real names, phone numbers, email addresses, and other data that can help you drive home more sales. Buy this accurate, affordable data product today!